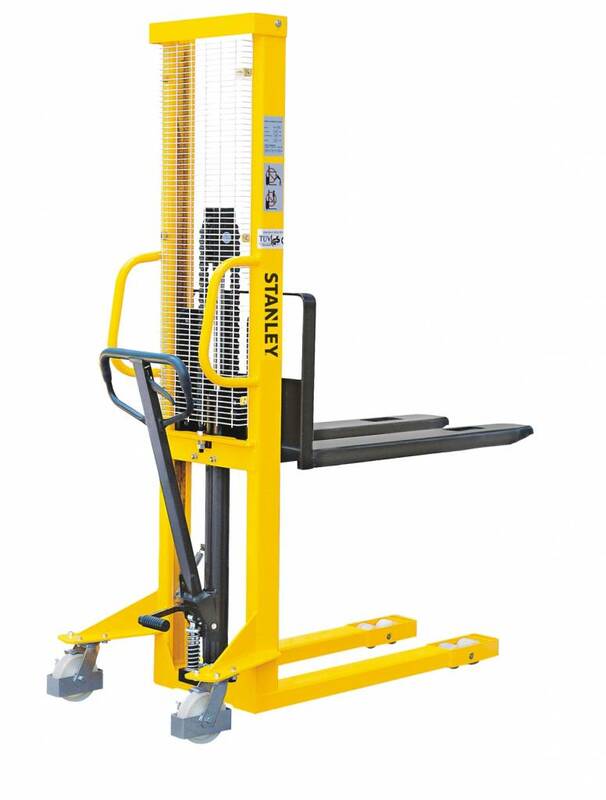 The STANLEY® Manual Stacker 500kg is equipped with standard formed metal forks. 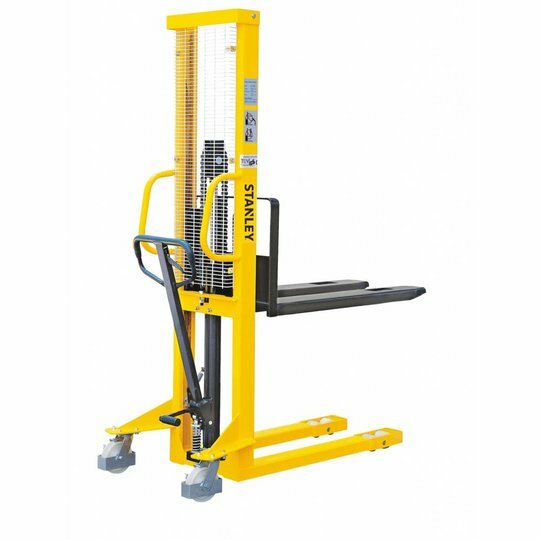 The Stanley Stacker range enables you to lift and rack pallets up to a height of 1,6m. The pump comes standard with proportional lowering and a foot pedal to speed up the lifting process. STANLEY and the STANLEY Logo are trademarks of Stanley Black & Decker, Inc. or one of its affiliates, and are used under license. © Copyright 2014 Stanley Hand Trucks - Powered by SAM-Works UK Ltd.